1. 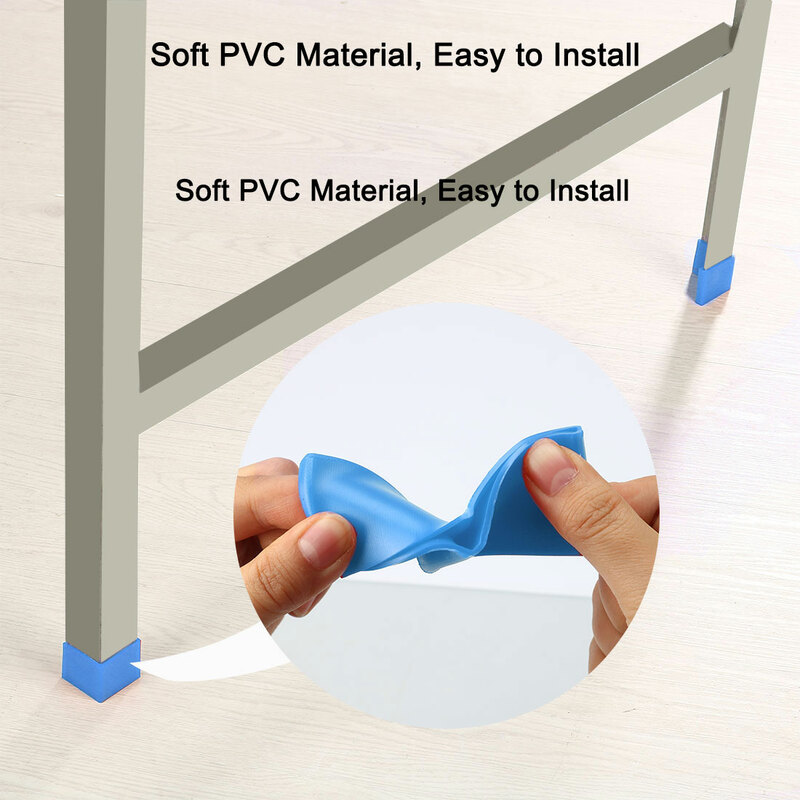 Prevent Scratch & Wear - This L shaped furniture foot cover likes a glove for the furniture, protect your beautiful hardwood, ceramic tile and linoleum floors from scratch & wear. 2. Good Quality - This angle iron foot pad is made of soft PVC material, durable and wear-resisting, specifical for angle iron. 3. Easy to Use - Easy installation, more maintainable and last longer than stick-on pads. 4. Reduce Noise - This angle iron foot pad can greatly reduce the noise, you could no more worry about suffering a harsh sound when moving the furniture. 5. Great Choice - Great choice for protecting your furniture and floor. It can be applied to many kinds of place, such as the TV stand, bookshelf, flower shelf, goods shelf and other L shape furniture leg or rack leg. 6. Widely Used - The angle iron foot pad can protect your beautiful hardwood, ceramic tile and linoleum floors from scratches and save your furniture feet. 7. Application - These angle iron foot pads can be used on home, office, hotel, restaurant, apartment, factory, garage, and so on. 1. Variability of 1-2mm is possible due to the measurement process. 2. Due to the light and screen setting difference, the color of the item may be slightly different from the pictures. 3. Please check your angle iron dimension to fit the L shape furniture foot cover before buying this item.